Looking to get rich next year? Unfortunately for you, nobody becomes rich overnight. Those “overnight successes” you see are normally the results of years and years of hard and deliberate work. The good news is that when it comes to building wealth there are no secrets. The same set of principles will work for absolutely everyone! If you’re willing to put in the work and make the sacrifices you can build wealth at a fast pace. Don't believe me? Well, I've done it and so have countless other people. You just have to start now and build on what you've achieved. 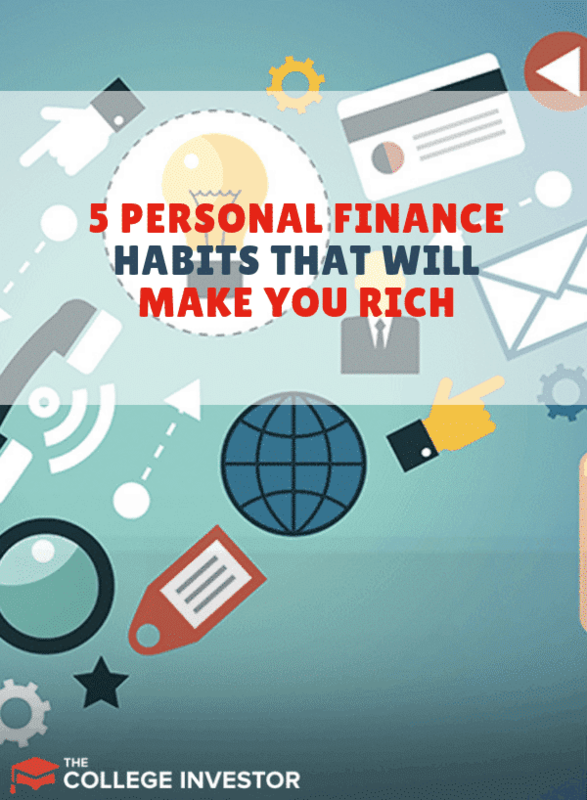 Here are five personal finance habits that will make you rich. The first habit is to spend less than you earn. And if you want to build wealth fast you need to spend significantly less than you earn. You would think that this would be a common sense rule but unfortunately, it’s not. Most Americans spend a lot more than they earn which is why there’s so much consumer debt. If you can ingrain this one habit at a young age you’ll be on the track to financial freedom. If you don't know where to start, check out our list of 15 Ways To Save $500 Per Month and How I Save 75% Of My Monthly Income. The earlier you start investing the more time your money has to grow. This is why investing at a young age is so crucial. Even if you only have an extra $20 per week to invest you need to do it. Those small amounts can turn into something huge in twenty to thirty years. (Not sure how to invest? 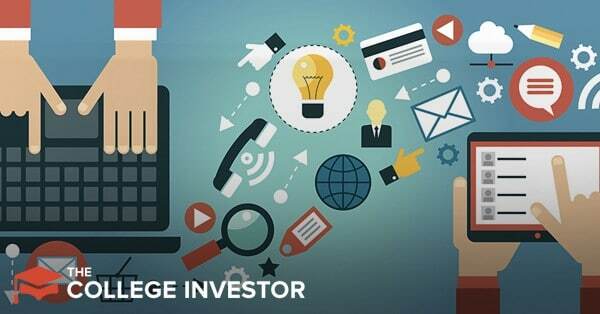 Check out our guide on how to get started investing). Don't know where to start? Open an account at one of our top free investing apps. Debt will hold you back from so many financial opportunities. Make it your mission to avoid all forms of consumer debt. If you’re already in debt you need to first work on getting rid of it before you’ll be able to build wealth. Saving for the sake of saving is pretty pointless. Instead, you should create financial goals like saving for a house, car, or early retirement. Once you’ve come up with meaningful goals start stashing away as much money as you can. Save for your current goals and for your future. Check out these great deals on high yield savings accounts: Best High Yield Savings Accounts. Last but not least you need to find a career you enjoy. You’re not going to be able to realize your full earning capabilities unless you at least mildly enjoy what you’re doing. Plus, who wants to work their entire life doing something that they hate? It might take you a while to find that perfect fit but you’ll know when you find it. Don't know what to put your passion into? Well, get a job and start a side hustle. Many millennials work a side gig starting in college and continue to grow it after graduation. If one of your goals this year is to build wealth then these five personal finance habits will get you there. At the end of the day, the steps to take are very simple, it’s acting them out that will be a test of character. #3 is probably the most powerful thing everyone should ingrain in their head. Avoid debt. There is no need to be in debt. Great!! That is such a pleasure to read Alexa. Personally I believe that if we stick to even first two rules of Reducing expenses and Investing early,it can be big contributor to getting rich or accumulating wealth in future. Excellent list! I love #5 because while it is extremely true it isn’t often seen on lists like this. I guess to a lot of people just having a job is important, but loving your job has so many benefits. Obviously, you’ll be happier (which no amount of money can buy), but you will have more energy and take more initiative with a job that you really enjoy. You’ll be more likely to work hard and go above and beyond for a job that you care about. All of this can lead to promotions and/or pay raises. Plus you won’t dread going to work every day and your days will be more fulfilling than if you didn’t like your job. Number 1 rule “Spend Significantly Less than You Earn” which is very difficult to do, but by making this work we have to eliminate things that we don’t really need and spend on things that we need for everyday living. In this way we can save our finances. A great list, Alexa, thanks for sharing. Two points I would are: 1) Only invest in things you understand; 2) Only deal with individuals you trust and respect. If you not feel comfortable with someone trying to sell a financial product or investment opportunity, hang up the phone or get up and walk away. I find that the students in college do not understand that the debt is a major negative for them in the future. On federal loans they are paying between 6% and 7%. Many do not grasp this fact; nor do they understand the compounding effect of interest on the loan growth. A very unpopular solution is to pay for college as you go. Take a year off and earn money to pay for the next year. Do not graduate with a loan of $40,000. to pay off as you begin your earning career.